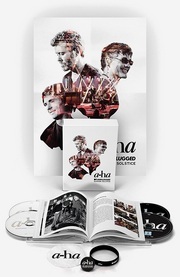 Magne Furuholmen is a man of many facets. During the Hove Festival the audience can experience his sound installation, and tonight he enters the stage. Around the festival area at Hove, Magne Furuholmen has placed the sound installation “Transmutation”, which functions as an added dimension to the other artworks at the Hove Festival. 1600 small radios that the audience are given have been produced for this installation. They receive Furuholmen’s audio commentary each time you’re approaching another art installation. In this way, a “secret” intimate sound area is created near every artwork. “Transmutation” can be seen as an intervention of one of the already existing artworks. For the installation by the Norwegian artist Pernille Gormsen, located among the trees at Hove, Furuholmen has made the music together with Coldplay-vocalist Chris Martin. 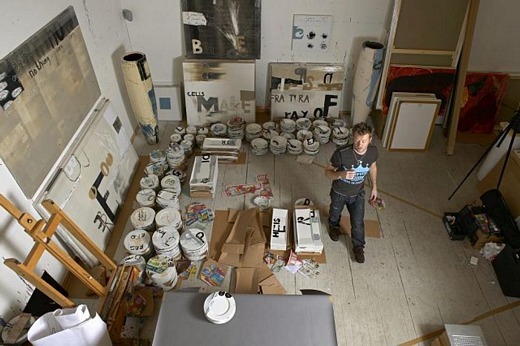 Furuholmen has later transformed and adapted the recordings to this installation. Any reaction to his own sound installation is welcome, Furuholmen says. Because that can provide him with possibilities of adding additional dialogue. – Is there any connection between the music you will be performing on stage and the sound installation you have at Hove? “Yes, some of the text material I’ve based it on is connected. Everything I write will eventually infiltrate my work as both a musician and an artist”, Furuholmen says. – What’s the best thing about being a visual artist? “Long workdays and no sick pay”, Furuholmen says ironically.